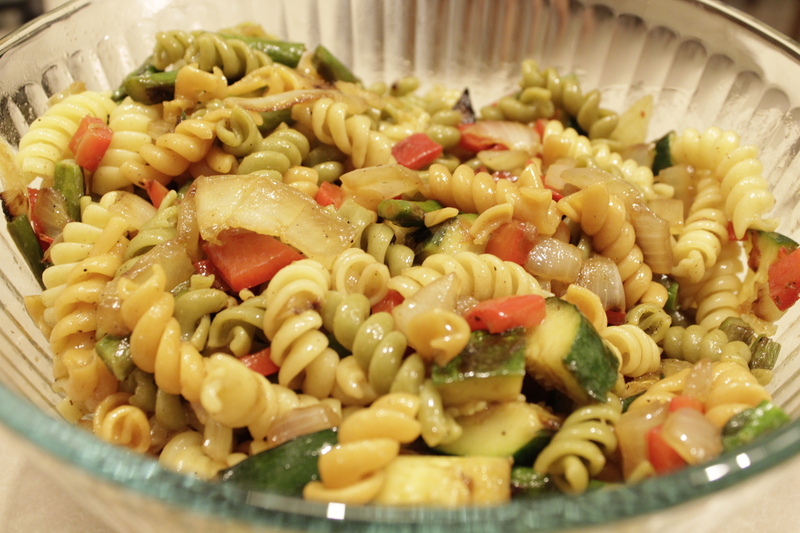 Today’s Meatless Monday dish is a simple recipe. 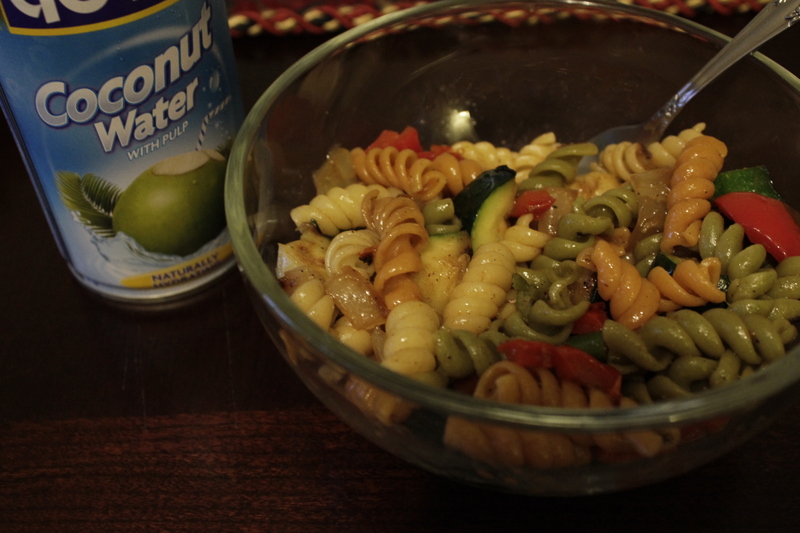 I used vegetables that my husband and I would like to eat. 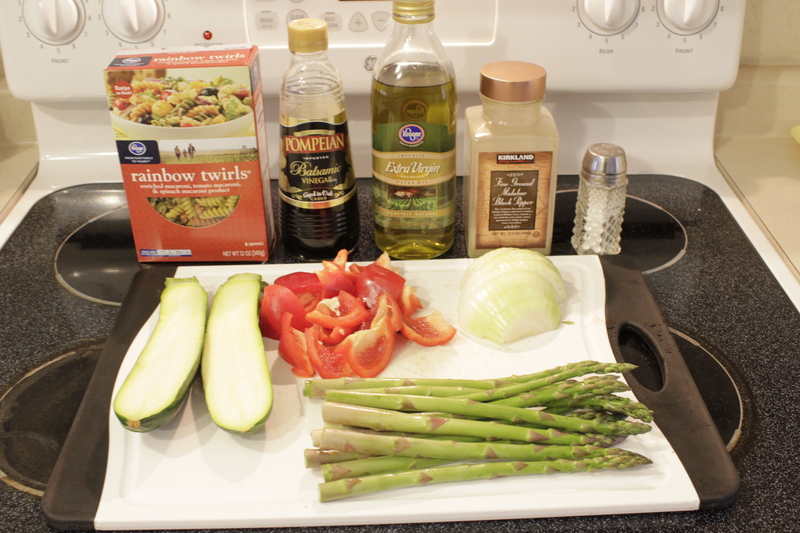 You can use this as your template for whatever veggies you have in the fridge. 1.) 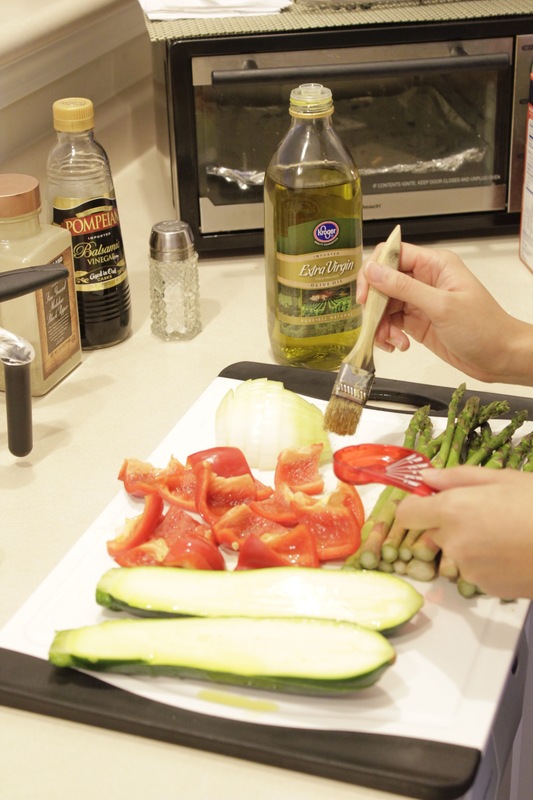 Lightly brush vegetables with 1 tablespoon of olive oil. 2.) 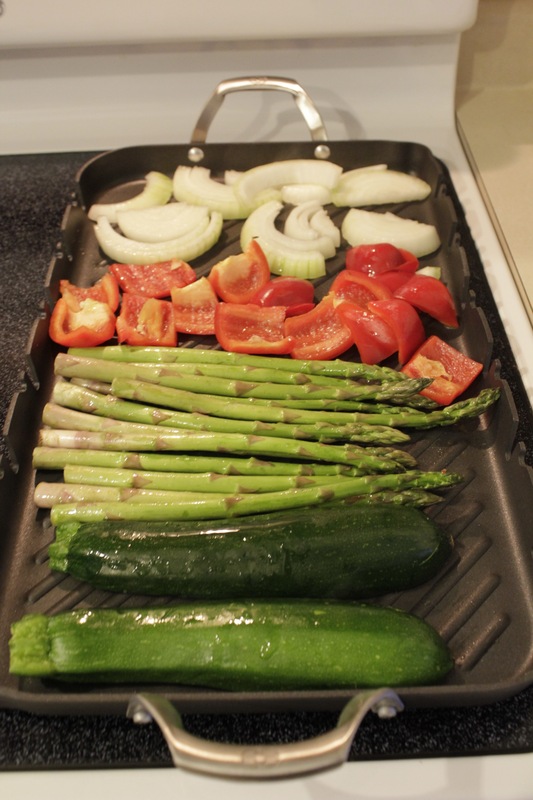 Place the vegetables on a stove grill. 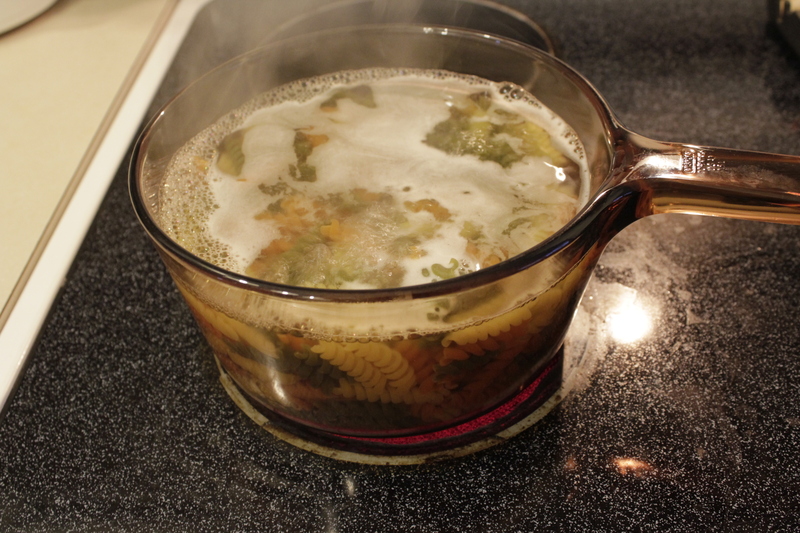 Cook on low-medium heat until vegetables are tender. 3.) 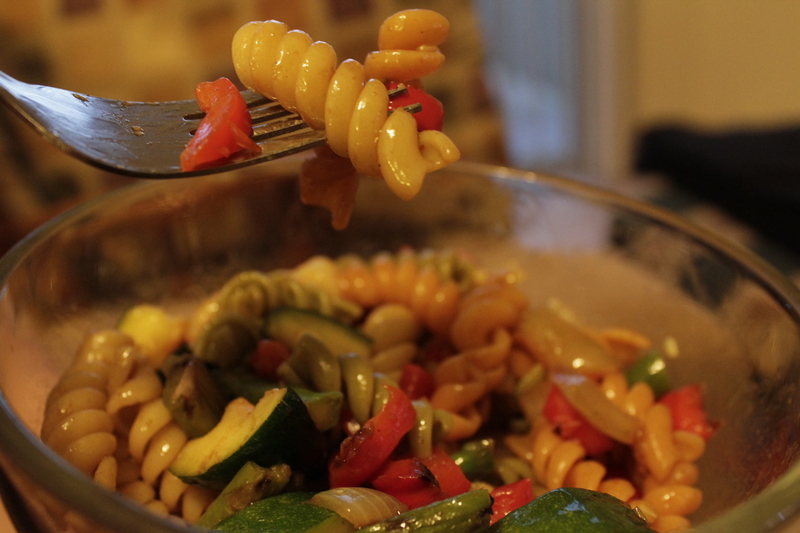 While vegetables are cooking, cook pasta according to package directions. 4.) 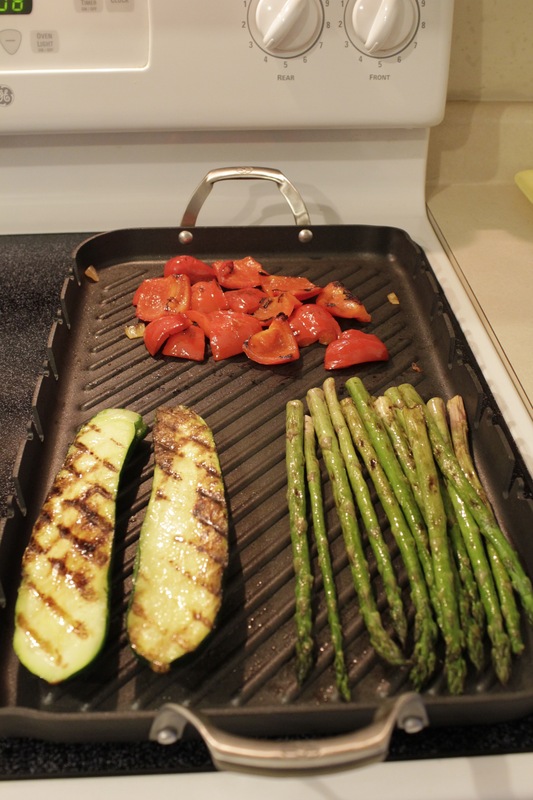 Once vegetables are cooked, remove them from the grill and allow to cool slightly. 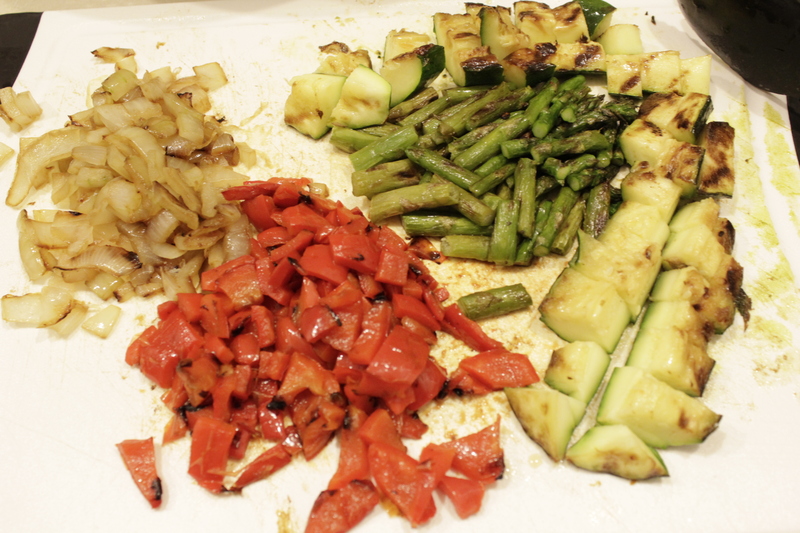 Cut the vegetables into 1/2 inch pieces. 5.) 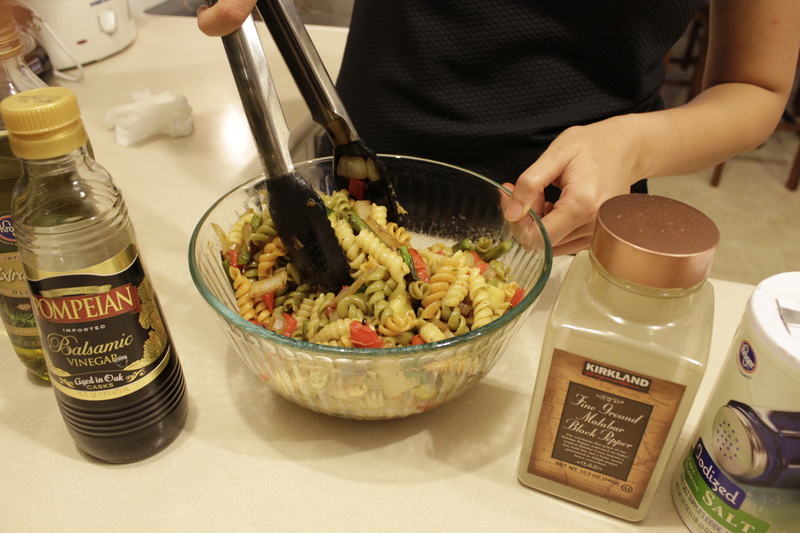 Toss vegetables with pasta in a large bowl, add the remaining oil, balsamic vinegar, salt and pepper; toss together. Dinner is served. 🙂 YUM! This is a perfect meal every time. 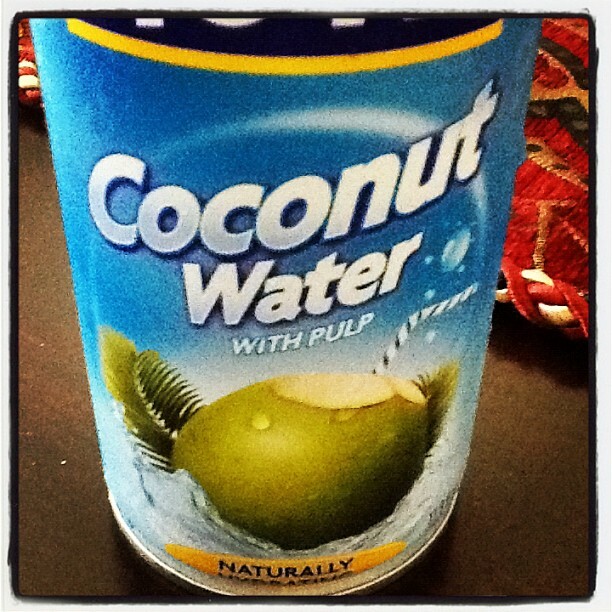 This entry was posted in Favorite Recipes, Meatless Mondays, My Everyday Journey and tagged blogging, fitness, food, food blog, health, healthy recipes, life, Meatless Monday, meatless monday recipes, runner, running, running blog on August 20, 2012 by Ja @Ja on the RUN.